Turkey’s decision to shoot down a Russian bomber involved in an anti-terror mission against the self-proclaimed Islamic State terrorist group means that Ankara has effectively sided with IS. Heading off any denial of this fact, Russian Foreign Minister Sergei Lavrov reiterated Turkey’s role in the terrorist group’s illegal oil trade. 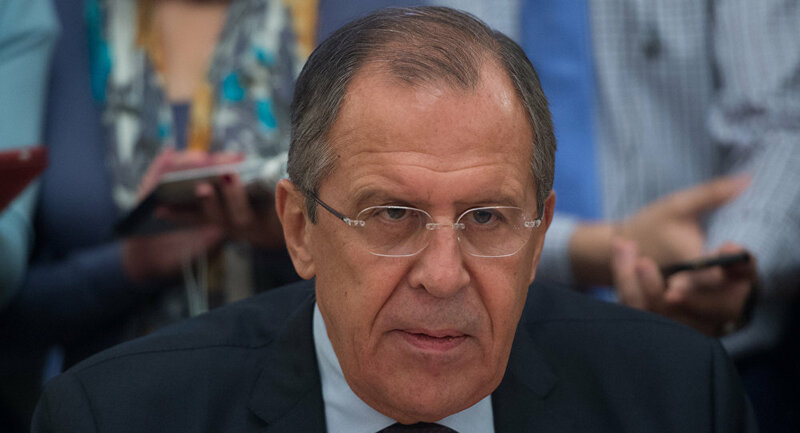 Discussing the downing of the Russian Su-24 bomber on Wednesday, Russian Foreign Minister Sergei Lavrov had harsh words for his Turkish counterpart, Mevlut Cavusoglu. According to a press release from Russia’s Ministry of Foreign Affairs, Lavrov pointed out that, "by shooting down a Russian plane on a counter-terrorist mission of the Russian Aerospace Force in Syria, and one that did not violate Turkey’s airspace, the Turkish government has in effect sided with ISIS." "…Turkey’s actions appear premeditated, planned, and undertaken with a specific objective." Lavrov also pointed to Turkey’s role in the propping up the terror network through the oil trade. "The Russian Minister reminded his counterpart about Turkey’s involvement in the ISIS’ illegal trade in oil, which is transported via the area where the Russian plane was shot down, and about the terrorist infrastructure, arms and munitions depots and control centers that are also located there," the statement read. "Sergei Lavrov specifically said that this act by Turkey will have serious consequences for Russian-Turkish relations and will not go unanswered." Retired French General Dominique Trinquand made similar statements when speaking to Sputnik earlier on Wednesday. "[Turkey is either not fighting ISIL at all or very little, and does not interfere with different types of smuggling that takes place on its border, be it oil, phosphate, cotton or people," he said. Turkey downed a Russian Su-24 bomber Tuesday, claiming that the aircraft violated Turkish airspace. The Russian Defense Ministry has released flight path data proving that Russian remained aircraft never left Syrian airspace. The incident left one of the pilots dead, shot by militants on the ground after ejecting. The other, Captain Konstantin Murahtin, was rescued. Russian President Vladimir Putin described the incident as a "stab in the back by accomplices of terrorists."